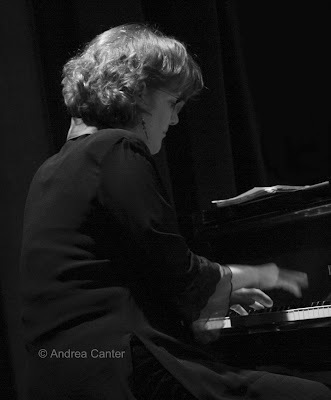 Laura Caviani’s mostly annual birthday salute to Thelonious Monk at the Artists Quarter (10/9-10/10). This year Laura brings in Gordy Johnson and Dave Schmalenberger for unforgettable interpretations of the great eccentric bop composer/pianist. Monk is always part of Laura’s setlist but this weekend he is the main event. It’s Laura’s birthday too so cake is on the agenda. The Butch Miles weekend continues with the drummer on stage in Bloomington (Bloomington Center for the Arts) twice, with the Wolverines small ensemble Saturday night and with the Wolverines Big Band on Sunday. This is an unusual set of concerts featuring the drummer from the Count Basie Orchestra. Sunday afternoon (10/11) through late Sunday night is the Artists Quarter’s benefit for Dean Magraw, who is now recovering from a bone marrow transplant in his battle with lymphoma. Starting at 3 pm, you can enjoy a long list of great area musicians and help one of our favorite jazz personalities. The line-up includes the always on-fire Tuesday Night Band, a slambang ensemble with Laura Caviani, Lucia Newell, Eric Gravatt, Gordy Johnson and Pete Whitman; guitar monster Tim Sparks in a trio with guest Prudence Johnson; another favorite ensemble, How Birds Work; the creative Wozniak/Nichols/Epstein trio; an exciting gathering of JT Bates, Jim Anton, Tommy Barbarella and Brian Gallagher; the sublime Dave Karr Quartet with special guest Connie Evingson; and the Regional Jazz Trio with local legends Anthony Cox and Debbie Duncan. Silent auction items include a private party at the AQ, studio time, Laura and Lucia for your own party; photos from Howard Gitelson and yours truly, and more. Come at 3 pm and stay! Next week brings one of the hottest saxophonists around, Miguel Zenon, for one night (10/14) at the Dakota with his Esta Plena Quintet. Recipient of a MacArthur “genius” grant and a fellowship from the Guggenheim, Zenon has spent the past year working on the plena music of his native Puerto Rico, yielding a new CD (to be released next week) and augmenting his long-standing quartet with traditional percussion and vocals. 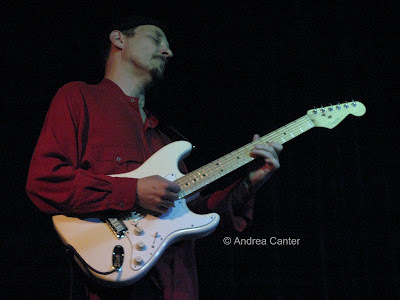 Zenon was last here with the SF Jazz Collective—he is one of the founding musicians. Two shows (at the same time, of course) on October 15th – the annual free performance of the U of M’s Jazz Ensemble I (7:30 at Ted Mann) and the CD release party for the CC Septet at the Dakota. Their new recording, She’s Big in Egypt, should be big in Minnesota. There’s always more—check out Crave at the Galleria (Friday night with Debbie Duncan and Adi Yeshaya); Downtowner Woodfire Grill in St. Paul for Friday nights with Maud Hixson and Rick Carlson; Café Maude (Saturday night for “old world noir” with an ensemble lead by accordionist Patrick Harrison); Fireside Pizza in Richfield for Charmin Michelle and Denny Malmberg (Mondays and Wednesdays); the Wolverines at Hell’s Kitchen on Wednesdays. Dave Karr (10/14) and Phil Hey (10/15) bring their highly respected quartets back to back at the AQ. I’m sure I left out something good but I gotta go pack for the weekend. But look ahead—Mose Allison at the AQ Friday through Sunday (10/16-18) as well as Vicky Mountain celebrating her new CD at the Sage Wine Bar (10/17) and the return of Soul Café (Laura Caviani, Brad Holden, Steve Blons) at the Hennepin Avenue Methodist Church (10/18).